For more than 30 years, Vetri-Science has been formulating advanced, high quality supplements designed to support animal health. 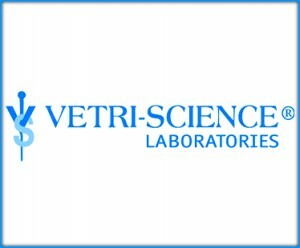 Located in Vermont and founded in 1981, Vetri-Science Laboratories is committed to producing the purest, most reliable products to meet the exacting standards of veterinarians and pet owners. In order to design and improve the efficacy and safety of their product line, Vetri-Science utilizes Animal Scientific Review Boards for both large and small animals. These boards are comprised of respected experts including veterinarians and animal nutritionists with backgrounds in nutrition, alternative medicine, holistic therapies, anatomy, physiology, and biochemistry. Glyco-Flex III Bite-Sized Soft Chews For Dogs – Glyco-Flex® III Bite-Sized Chews represent the third stage in our comprehensive life stages joint support program for dogs, and is recommended for dogs in need of maximum joint support. It is also recommended by veterinarians for geriatric and working dogs and as a follow-up to support normal recovery after orthopedic surgery. Glyco-Flex Feline Chews – This product line offers support for proper joint function and connective tissue health for all levels of feline need. Canine Plus Beef Flavor – This complete formula includes a balance of amino acids, vitamins, minerals, fatty acids, digestive enzymes, antioxidants and other factors designed to support optimal health for dogs of all ages and breeds. For general immune, cardiovascular, circulatory and skin health. Cardio-Strength – This product features 11 synergistic ingredients designed to support cardiovascular health and function in both dogs and cats. This comprehensive formula is recommended for animals with pre-existing or sub-optimal cardiovascular functions and for geriatric pets. Nu-Cat – Nu-cat is a complete multivitamin/mineral supplement that includes digestive enzymes and supports physical and mental well-being for cats of all ages and breeds. Vetri-Lysine Plus Bite Sized Chews For Cats and Kittens – This highly palatable chicken liver flavored soft chew is designed to support immune system function, collagen and tissue repair, antioxidant activity and antibody and lymphocyte production. Renal Essentials Fish Flavor For Cats – This superior formula supports optimal kidney and immune function during times of stress. This entry was posted in Home and tagged Canine Plus Beef Flavor, Cardio-Strength, glyco-flex, Nu-Cat, Professional Supplement Center, Renal Essentials Fish Flavor For Cats, Vetri-Lysine Plus Bite Sized Chews For Cats and Kittens, Vetri-Science Laboratories, Vitamins and supplements. Bookmark the permalink.